Miles is the proud owner of SERVPRO of South Miami. After matriculating from Jacksonville University with a BA in Business Management, he returned home to his Pittsburgh roots to help run the family business. "To be successful, you must surround yourself with the best people," his Grandfather's quote stuck with Miles. Since relocating to Boca Raton in 1989 Miles has been involved in four substantial business ventures. His MMS company cleaned as many as 40 houses per day of the "Rich and Famous." He then started, owned, and ran an Extermination company and a bit later purchased a national franchise with the purpose of cleaning the carpets of his upscale clients. 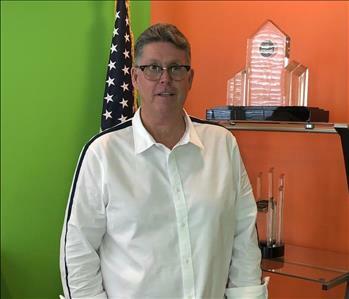 This natural progression of developing and stitching together disparate companies into a powerhouse home-oriented cleaning service led to his greatest accomplishment--Four SERVPRO Franchises. 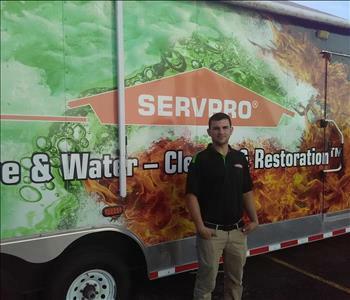 This SERVPRO of South Miami outfit sent, in 2017 to help the residents of Houston after Hurricane Harvey, over 20 technicians and seven trucks. We call it, Painting the Town Green." Miles is proud to have this venture ranked in the top 100 of over 1700 SERVPRO franchises. No job is too big or too small for our Large Loss Team--give Miles a call. The Office Greeters at SERVPRO of South Miami are Charlie on the left, and Riley on the right. They are big on customer satisfaction and welcome each visitor with a friendly bark and wagging of a tail. They like to joke that for carpet cleaning, Riley is the Before and Charlie is the After. Service with a smile. Don is our Marketing Director at SERVPRO of South Miami. He has been involved for over 30 years in the construction industry in South Florida. Miles Early, our owner, coaxed him out of another retirement to expand our footprint in our market place and run our Large Loss Division. Don is committed to getting the job done quickly and professionally. We look forward to having our SERVPRO brand getting stronger with his help. Jessie is our Office Manager at SERVPRO of South Miami and can always be reached at (305) 269-8900. She joined our office staff in 2016 as a job coordinator. Her duties included scheduling the production teams on their appointed assignments, ensuring that all documentation is accurate and completed in a timely manner. Jessie is big on customer services and sets a great example as she leads our office. She is a valuable person, just ask our customers. 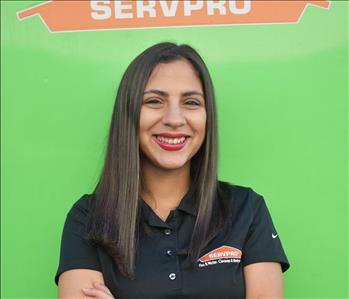 BiBiana is a Sales and Marketing Representative at SERVPRO of South Miami with almost two years experience. She has an extensive knowledge of the city being a resident here for over two decades. BiBiana is an excellent communicator and puts her skills to work by reaching out to many local organizations and civic groups. Despite her youth and beauty, she is a happy grandmother who brings that motherly love and care to her work for SERVPRO. 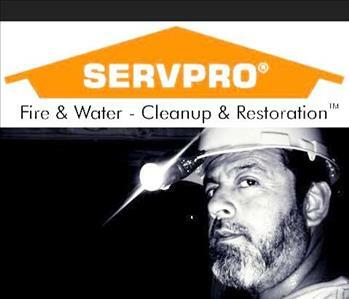 Felipe is a Project Manager at SERVPRO of South Miami. He leads by example, and with a strong personality. Felipe's dedication to customer service brings out the best in our crews. He has large loss experience and is willing to take 30 technicians out of state to assist with a hurricane cleanup effort. His experience and training skills make our team better every day. Yusi is gaining experience as a Sales and Marketing Representative for SERVPRO of South Miami. She graduated from the University of Havana as a lawyer and has proven to be very skillful at getting to know and engage with the community of South Miami. Her attention to detail is an asset as she deals with customers and team members in a very timely manner. Call Yusi for any mold, fire, or water problems at (305) 269-8900. Oscar is a production technician at SERVPRO of South Miami. He is a dedicated, hard worker with ample experience and knowledge when it comes to handling floods, fire damage, and mold remediation. Oscar is quite the sportsman who rides his bike to start his day of work. 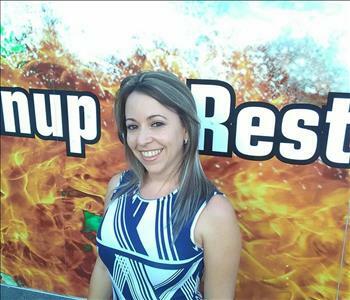 Lina has recently joined our team as an SMR, Sales & Marketing Rep. SERVPRO of South Miami is excited to have her talents and educational background. She is a graduate of the Arts Institute and The Colombian College of Design in her native South America. With her keen artistic eye and a strong commitment to customer satisfaction, Lina will be key in developing remodeling ideas for water and fire damaged properties of our clients. She looks forward to reaching out and establishing strong ties with our local communities and organizations. You can meet Lina by calling (305) 269-8900. 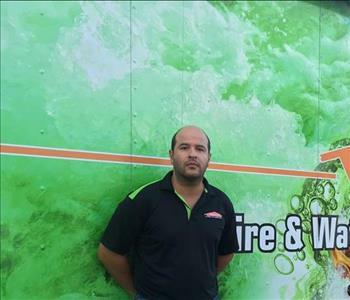 Juan is the Sales & Marketing Representative at SERVPRO of South Miami. His technical production background, especially for water damage restoration, lends a complete understanding of the needs of our customers, our office staff, and our technicians. His communication and networking with local organizations and civic leaders help promote our footprint in the community. Juan works with our clients to achieve complete customer satisfaction. 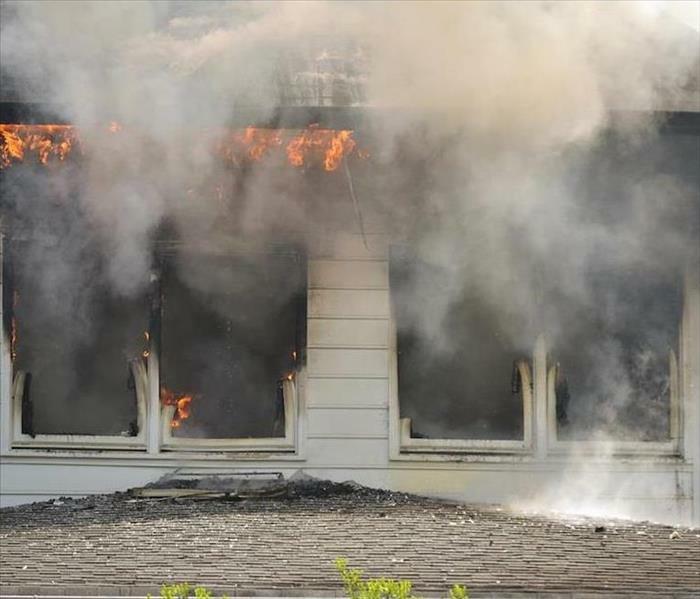 For more information about Water, Fire and Mold Restoration in Miami, contact Juan at (305) 269-8900. Maor is our Production Supervisor at SERVPRO of South Miami. He directs and supports our production team members in all phases of restoration. He leads by example which helps us stick to production timetables while satisfying our customers. Maor's keen communicative skills provide excellent results and help to secure more business for our franchise. His well-rounded skill set is a huge plus for all of us.